Here they come, second and fifth grades! Anyway, I want to tell you how I’m so sad Summer Break is over and how we loved our slower pace, often around the pool and on our porch. We liked the longer visits with friends. But that’s no secret if you’ve been around here – or social media – this summer. So, let’s focus on how seasons are good. God does something with the seasons – the ones on the calendar and the ones in my heart. I want to take the freedom and pace of Summer Break into the beginning of the school year, when the weather cools for fall, and along wherever else God leads me in the coming days. as we move along to whatever is next. Remember play can happen before all the work is done because all the work will never be done. Spend time reading and studying God’s word. Continue to invite people over – for lunch, for dinner, for no reason at all. Leave white space on my calendar. Summer Break, you were exactly what our hearts needed. I hope the kids take what they’ve learned about being friends even though they’re siblings and welcoming others into our lives with them into their classrooms. I hope they’re the kids who play well with others at recess. I want them to be the kids who trust God as He writes their stories as they walk the school hallways and ride the bus in the afternoons. And I hope we all remember God’s faithfulness regardless of the season. Part of what’s next for me is launching my self-published book into the world. There are some spots left, if you’re interested in joining me on that adventure. Sign up here. Your post is right on – it’s up to us to keep the fellowship going and I have no doubt you and hubs will! It is so hard to think of the summer having passed. It went so much quicker than I thought it would. May your children be blessed with a wonderful school year. I am glad to join you in your journey of “Peace in the Process”! Summer went SO QUICKLY! Thank you for your kindness and support, Joanne! 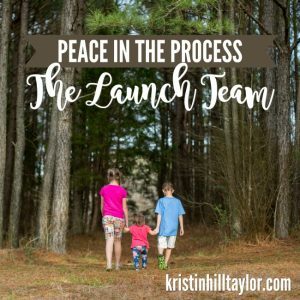 Signed up for the launch team! Kristin your post today hits my heart good. I just left the school after taking the kids to their first day. I will miss summer too, and think I will appreciate it even more now that was we are not home schooling. It feels like things fly by – but I am so grateful for the way we can choose to sit in the moments and still our hearts. I hope you all have a good school year! (I have one in 5th now too woot!) PS: Congrats on your book! Your list is exactly what I needed today. THIS: “Remember play can happen before all the work is done because all the work will never be done.” YES!!! 1000x yes! And this: “Continue to invite people over – for lunch, for dinner, for no reason at all.” I’ve been working on this. It’s not easy for this introvert to let people in, really let them in, but I’m working on it! And the white space. Always looking for the white space. Hope to remember that as school starts in a few weeks for us! I smiled when I read this one: “Read fiction books.” I have to remind myself to read fiction too; I’m instinctually drawn to non-fiction but I do enjoy novels when I remember to read them. Praying you can keep a relaxing flow into autumn after such a fabulous summer! I love fiction so much, but sometimes I need to remember to slow down enough to read it even when the to-do list isn’t finished. Thanks for being here, Lisa! Kristin, thanks for the opportunity to serve on your launch team. I’m happy to serve! Thanks for being willing, Sarah! I got a little chocked up reading this post today. I LOVE summer, and the end marks so much emotion for me. We get busy again, and time thins, and more than anything, I miss sitting on the couch at noon with my husband and son watching a movie. But more than that, this new season is bringing big changes for our family – one in high school, a new work opportunity for me, and well, change is never easy as much as it is good. Thanks for your encouragement to remember what God has done – it’s been beautiful! Love you, friend. I do need to leave more white space on my calendar. THank you for the reminder. 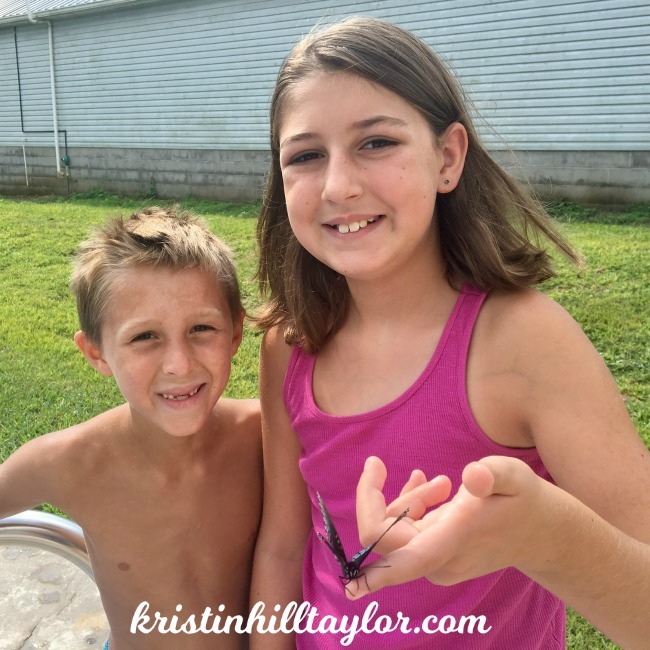 This part in your blog was my favorite statement, ” Remember play can happen before all the work is done because all the work will never be done.” I keep thinking I will get to the bottom of my to do list but that is never going to happen. I am beginning to settle into the fact things will be left undone. Thank you! I’m glad you could be encouraged here, Maree! Thanks for your comment. Hi, Kristin. Loving “play can come before work because work is never done”. Oh, I wish I lived this when my boys were little. Sounds like you made lots of memories. I ditto the read more fiction – it’s been way too long. Thanks, SaraBeth! I’m slowing learning how to live like this. It’s certainly not natural, but it is more fun! Thanks for being here.